The best Manfrotto pro ball head, dedicated to 190 carbon fiber tripods. An extremely precise ball head, providing extra smooth movements thanks to state of the art materials and technology. 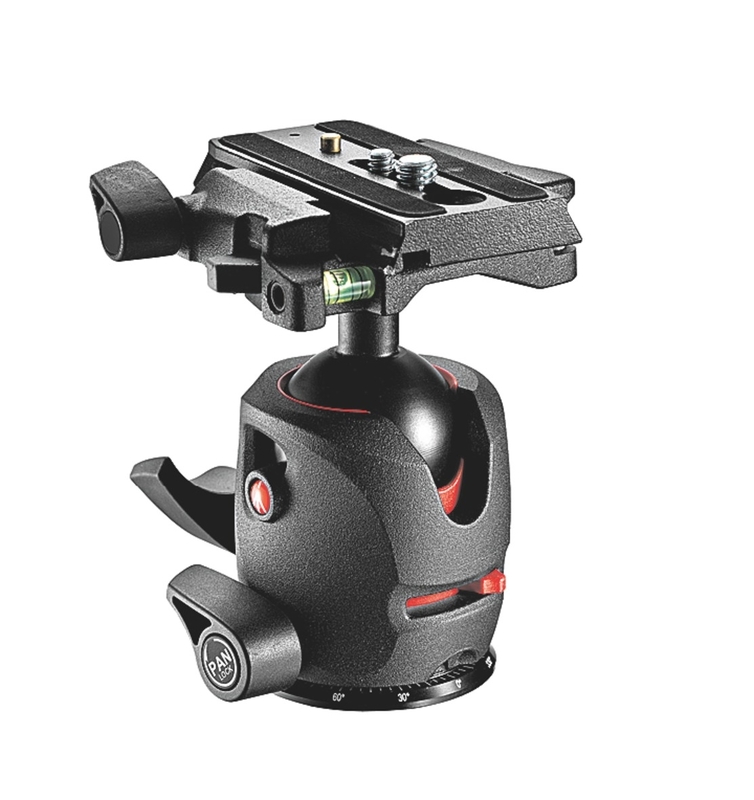 Innovative and unique features like the exclusive 90°-105° portrait angle selector allows for better camera control for advanced, precise settings. Innovative, compact, ergonomic, powerful and made of lightweight magnesium, it is the ideal tool for durability, high performance and accuracy. The new magnesium Q5 Quick Release system is compatible with RC5 standard plates and offers increased ergonomics, speed, reduced weight and accuracy thanks to 3 leveling bubbles. The Q5 with the sliding plate provides the perfect weight balance for heavy equipment and long lenses.